Barefoot Books is an independent publisher which specializes in carefully crafted children’s books, CDs, games, puppets, puzzles and gifts that celebrate enduring values and inspire creativity. 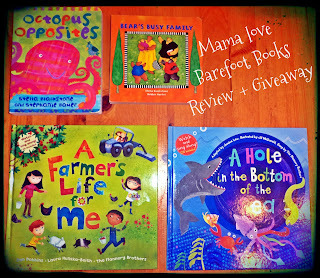 When the folks over at Barefoot Books agreed to do a review and a giveaway, I jumped at the chance! My Children and I are huge book-lovers, and Barefoot Books is a unique publishing company that focuses on encouraging children's imagination, sense of wonder, creativity, and connection to the world around them. 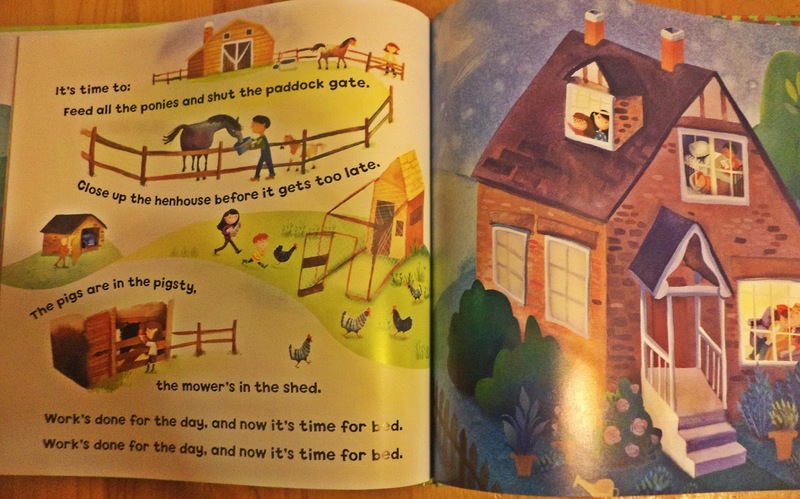 Like I mentioned before My children and I love books, chapter books that take us weeks to finish, picture books that they can make their own story up with, classic children’s books, any and every book. We have to get in bed a hour before bedtime just because I know I will be reading a mountain of Stories, and just to brag a little bit my two oldest have been taking notebooks during their TV time and instead of watching tv they have been writing and drawing their own books, that they later read to me, it just warms my heart listening to their creations! Reading is the thing I do most with them and I am so grateful that they enjoy books as much as I do! So Naturally I was Thrilled and My kids were Ecstatic when the package of our Barefoot Books arrived! 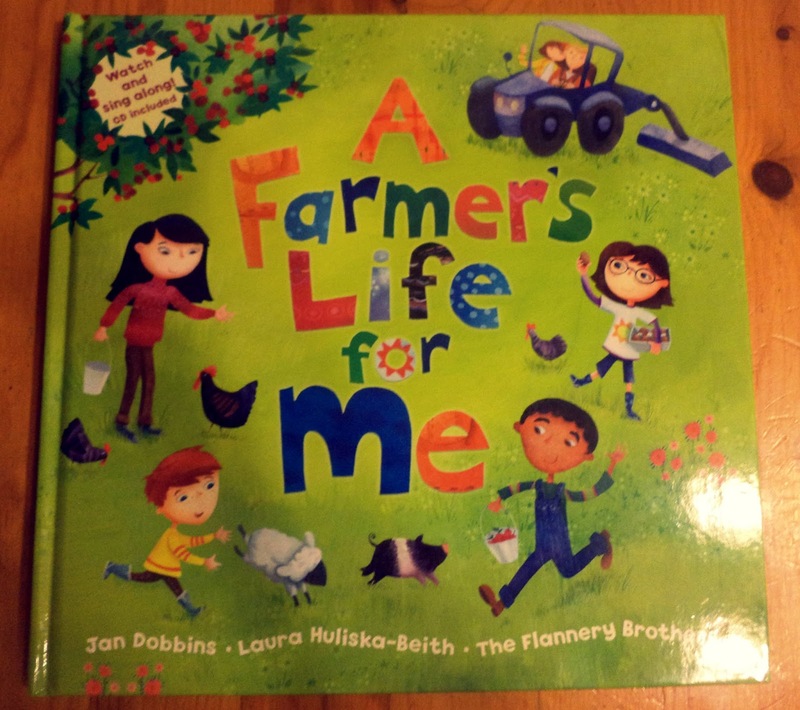 "A busy family and their friends spend a day working and playing on the farm. From milking the cows in the morning to closing the gate at night, learn about a day in the life of a farming family. Enhanced CD includes video animation and audio singalong." This book was so much fun I had to read it twice in one night, my youngest loved all the farm animals and they all loved the beautifully illustrated pages! My 2 older children love the CD that's included! That included Cd is such a Lifesaver, I spend a lot of my day in carpool lines waiting for kids to get out of school, so that means I always have at least one child to entertain in the car, and without a DVD player (ours died on us) Sing along Cd are the Best thing! Also if you put the CD s in the Computer they are fun Animated videos! 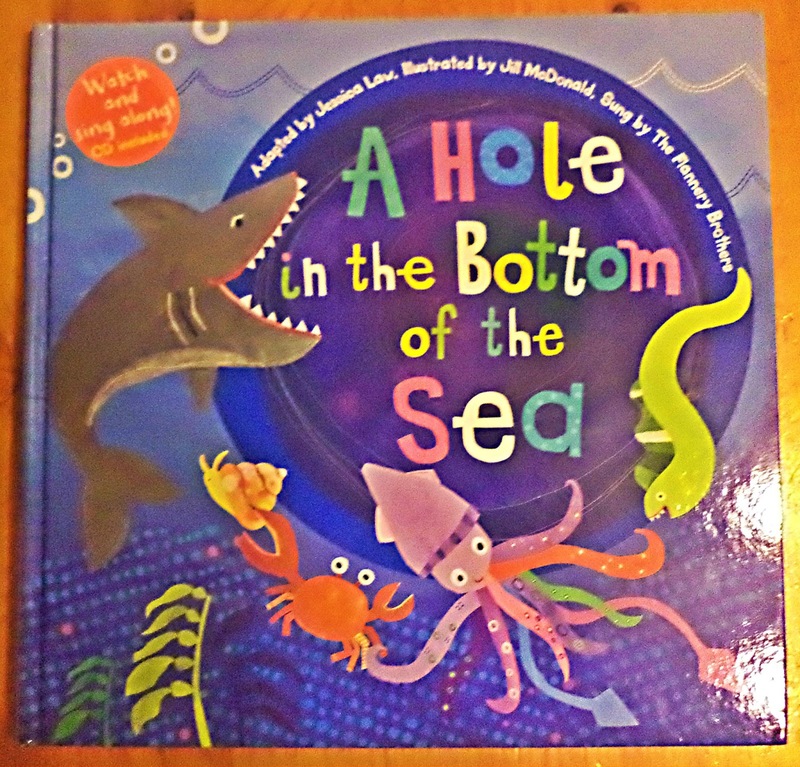 "Discover amazing and fascinating sea creatures in the hole in the bottom of the sea! Based on the traditional cumulative song, each verse introduces a new creature and its place in the food chain, with the shark chasing the eel, who chases the squid, who chases the snail. 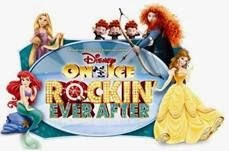 Enhanced CD includes video animation and audio singalong." This was another BIG hit in our house! 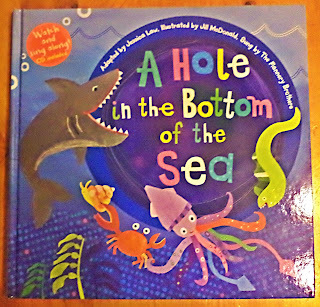 Right now they are all into sea life so naturally this book was right up their ally! 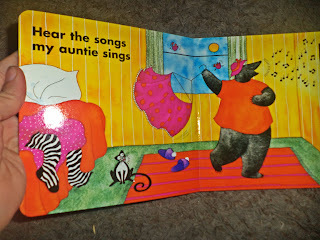 The Pictures are so fun and colorful, and the song/story was too cute! 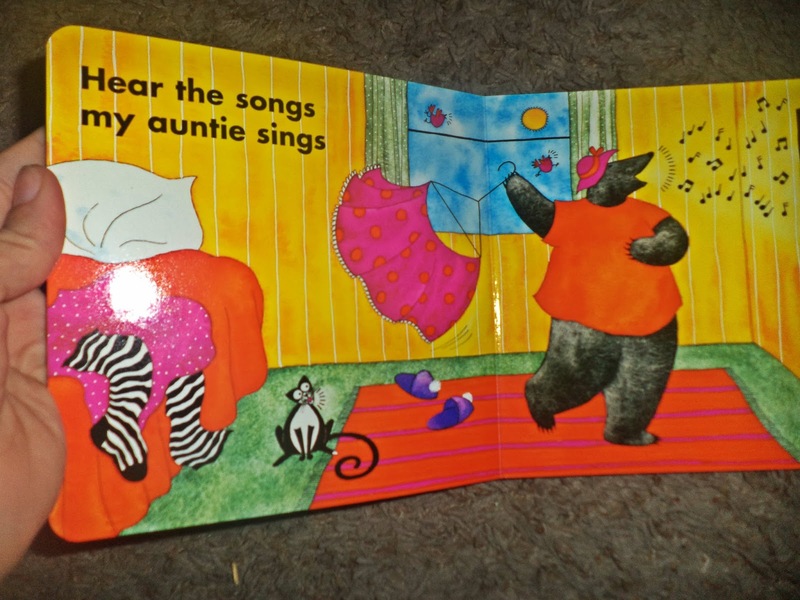 This book also included one of those Magical CDs that we get to take and enjoy in the car or during quite times at home! Empty, full; push, pull; young, old; hot, cold! The creatures in this vibrant book range from friendly elephants to exotic kookaburras, each with a pair of opposites to share. A companion to Alligator Alphabet and Counting Cockatoos,Octopus Opposites will encourage youngsters to find opposites all over the place in their own worlds. The learning continues at the end, where readers find out where each of the animals makes its home. 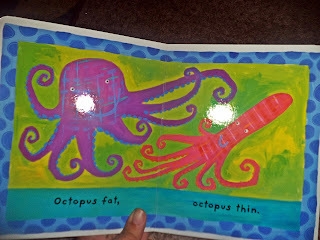 This Book was one I requested, for my 2 year old who has randomly become fascinated with Octopus the last few months (she has asked for Octopus birthday, and Halloween costume wish me luck on pulling that off) So as soon as I saw this book I knew it would get a 5 star rating from her, and it did! As soon as she saw the cover Squeals of happiness filled the room, and naturally we had to read it RIGHT AWAY! This is a wonderful board book which I love for little hands and inside you will find bright whimsical pages filled with opposites! 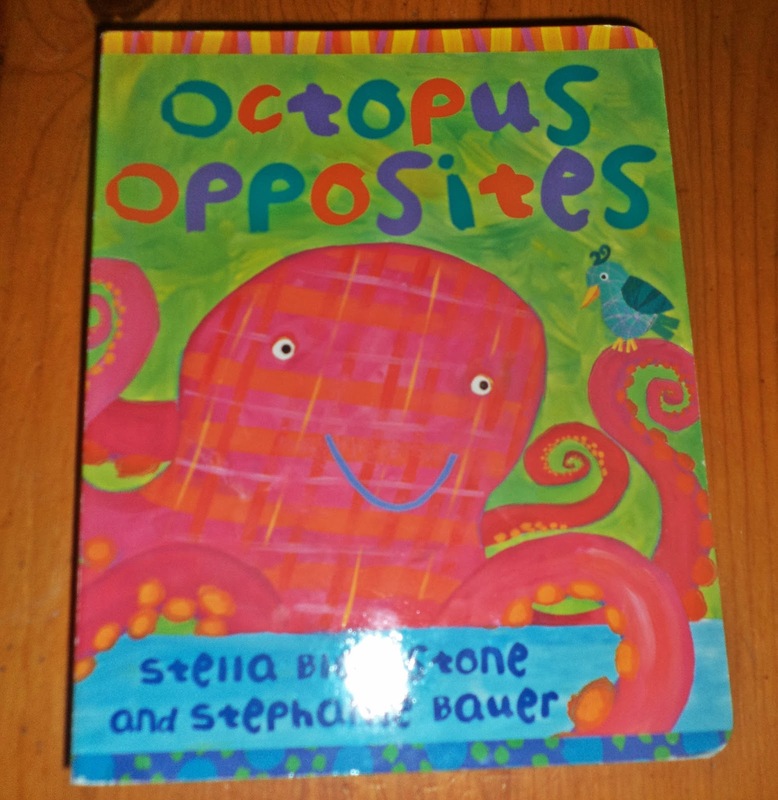 I love when children first learn opposites it's too cute since reading this book my 2 year old has gone around comparing everything "little" "BIG" (different voice for each included)! This has become Her new Favorite book so I know I will be reading 10 times a day for the next year maybe, and I'm okay with that it's such a cute book! 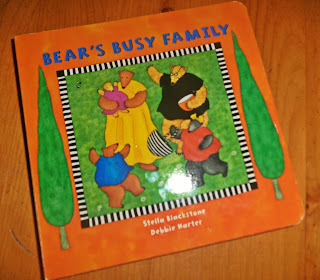 We Love the Bear Books, they are always cute short sweet little books to read together! This one is also a board book so it makes it easy for travel and for little one's to discover on their own! The pictures were beautiful as always and my little munchkins thoroughly enjoyed seeing what the bears were up to in this story! 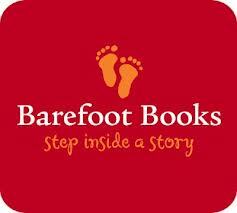 Overall We Love our Barefoot Books and I know from browsing their site that I will become a regular customer! 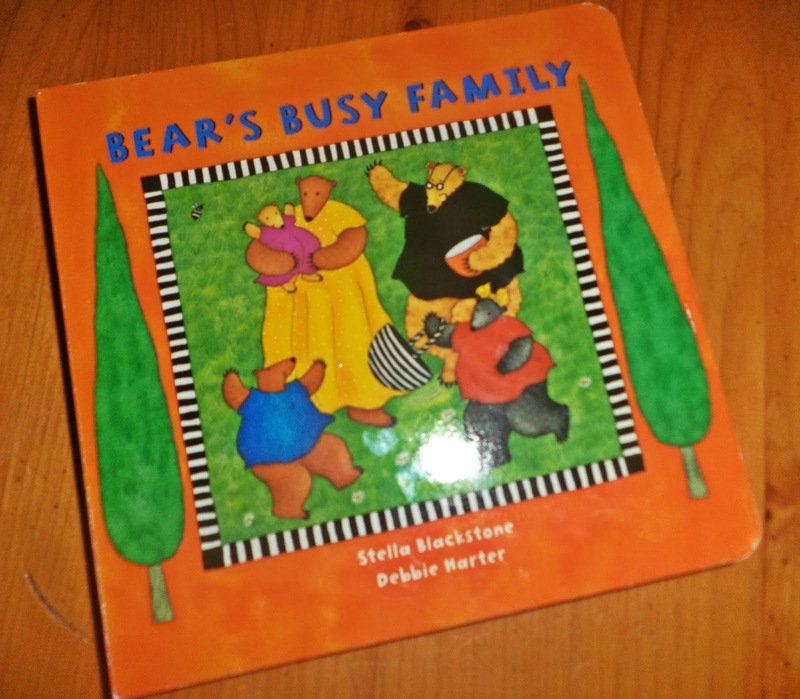 They have so many great books to choose from and their site is so easy to navigate by age, subject, bestsellers, and etc so it makes it so much easier to find the perfect book for our Family! Want to Win your Very Own Barefoot Books? I like all the different cultural tales. The have ones from Ireland, India, Africa. Those would go great with our country/continent themed units. we would love bear about town, or where is cat. 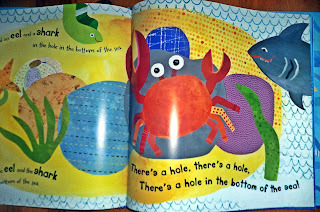 My children would love a book about under the Sea. 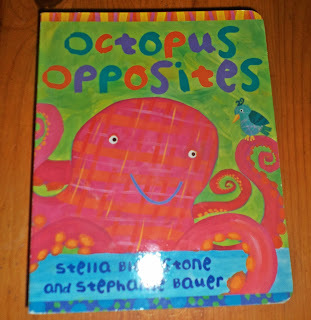 I think Octopus Opposites would be entertaining for them. http://alwaysblabbing.blogspot.com/ I have a book giveaway too. A Farmers Life for me is super cute. We already have Octopus Opposites and lvoe it! I would love to have The Animal Boogie! I would like to have Mother Goose Remembers! I'd like Alligator Alphabet for my son who is learning his letters. I would like any of the animal books...Bear or wolf. My nieces and nephews all love the animal books! The Mountains of Tibet looks like an amazing book! I would like the bilingual bear books! My granddaughters would like Skip through the Seasons.